Handwashing is always the best and safest method for washing woolens. Rinse well by running cool water through item until water is no longer soapy. Do not wring. Instead, press the water out of the item. If there is color in the water, don’t worry! It’s normal. The yarn dye is simply releasing color and you will not notice any loss of color after the wash is complete. Select the woolens or delicate cycle on the washing machine and make sure the water temperature is cold and the spin is on low. 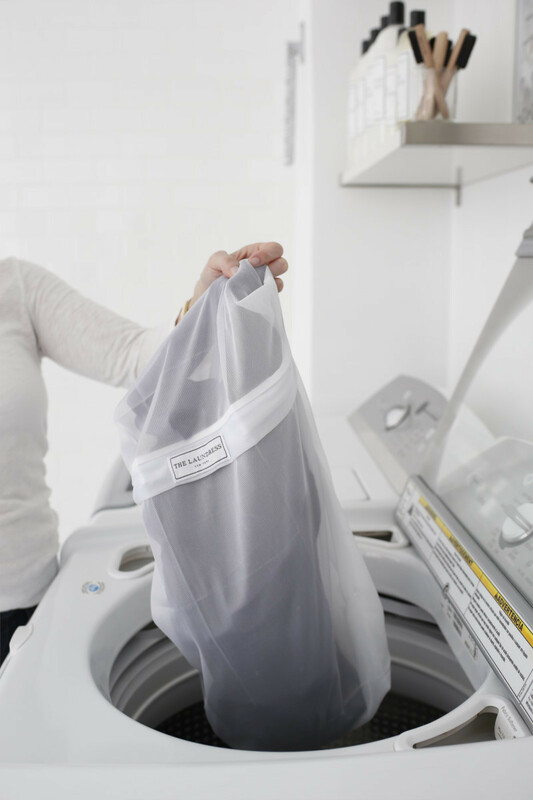 Remove knits promptly from the washing machine to reduce creasing. 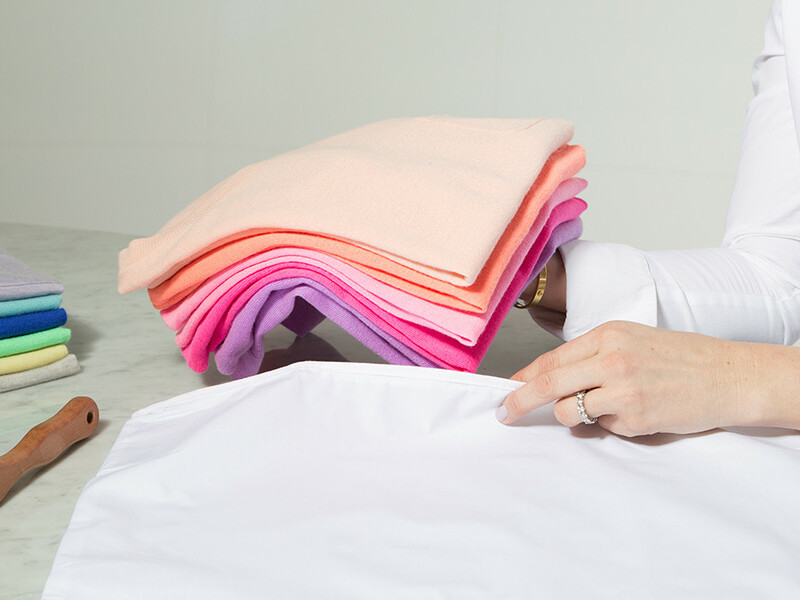 Lay item flat in its natural shape on a drying rack or clean towel. Do not put in the dryer! Expedite drying by laying one item flat on a clean towel. 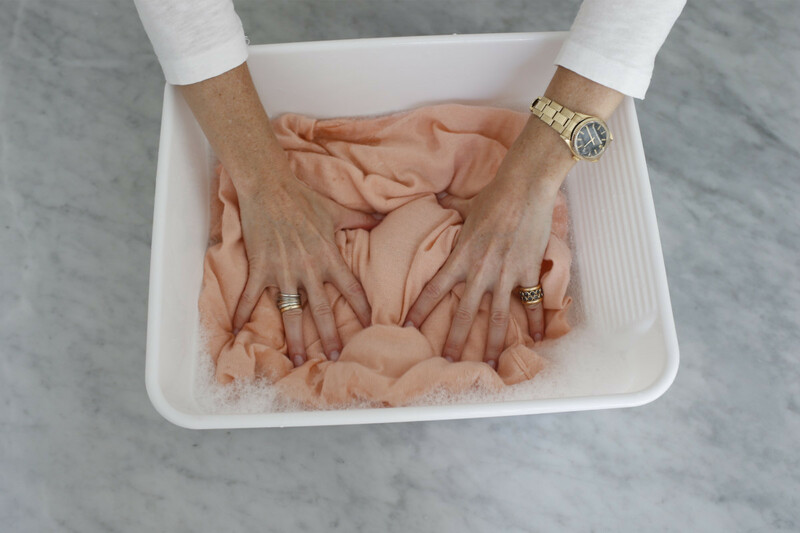 With the item in its originial shape, roll it up the towel (like a sleeping bag) to remove excess water. When drying, avoid direct sunlight and heat sources, such as the radiator, because they can shrink or damage wool. Never hang wet wool. Steam after washing to remove wrinkles and between wears to freshen and remove odor and bacteria. Never iron as ironing will crush or flatten the natural pile of the yarns. Spritz Wool & Cashmere Shampoo between wearing and washing. This nontoxic and allergen-free fabric spray naturally repels bugs and moths. When wool fibers become loose, they form little balls or pills. Pilling is a direct result of wearing - the more you wear an item, the more likely it is to pill. Remove pills on finer-gauge knits, such as light-weight sweaters, T-shirts, or pants, by gliding the Sweater Comb across pilled areas. Use a Cashmere Brush between wears to remove lint, fuzz, and hair and release natural oils that rejuvenate yarns. Always store knits folded to prevent stretching or distorting. Prevent bug and moth infestation by storing in a breathable cotton/canvas bag with a zip closure. Store items clean to avoid inadvertently providing a "food source" for bugs. Eliminating the dry cleaner was one of our first missions in creating this line of laundry and fabric care products. And lucky for you, we’ve accomplished our goal. Use this kit to safely clean and preserve woolens, delicates, synthetics, and more without the toxins and extra cost of the dry cleaner!